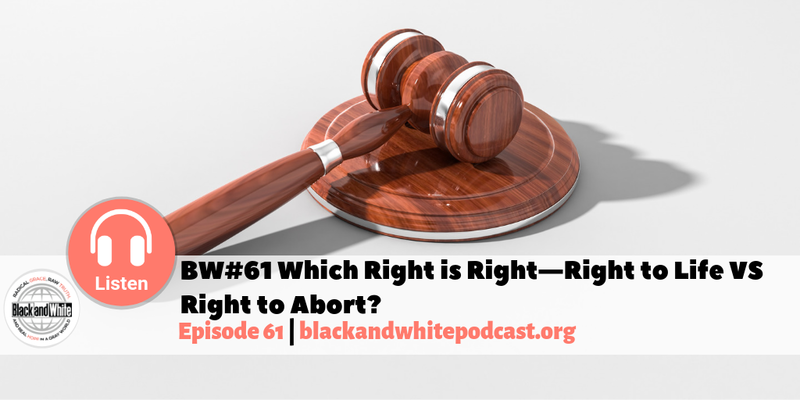 BW#61 Which Right is Right—Right to Life VS Right to Abort? Listen in as we continue our discussion on the gift of human life this month. This week we look at the chief arguments for abortion and discuss them biblically. Does man have the right to define life, or does the Creator? The Bible speaks to all of the common arguments we hear today—women’s rights, safety, the role of religion, convenience. Rights are privileges, not entitlements. And when we have acted in ignorance, God’s grace covers us. We must protect life in all of its forms and stages – from the womb to the tomb, life is a Holy gift from God. Want to dive deeper? Check out these downloads to help guide your understanding. When we seek truth in God’s word, He will open our eyes. Randy Alcorn Free ebook – Why Pro-Life?